Chetan Bhagat, ever the well-meaning bull in a china shop, wrote this weekend about the Indian Muslim. In his regular Times of Indiacolumn (in a piece headlined “Letter from an Indian Muslim Youth”), Bhagat appropriates the voice of—he doesn’t specify this, but it is easily surmised from the tone and content of the letter—a young Indian Muslim angry at his exclusion from the mainstream capitalist, neoliberal project. The piece is predictably disappointing in its understanding of the Muslim experience in India, but let us put that aside for the moment and discuss first this assumption of voice. In India, we are perhaps overly protective of identity groupings. If a debate arises over the actions of a religious or caste group, or over the legacy of a historical figure, fear of giving offence sometimes leads to submission to loud voices instead of the safeguarding of freedom of information and thought. It is precisely this kind of criticism that Bhagat seeks to preempt when he writes, with splendid crudity, “I don’t have a name like Ahmed or Saeed or Mirza, anything that will clearly establish me as a Muslim.” Bhagat is saying, I am not a Muslim, so what? But what he is doing is actually pretty sneaky: His disclaimer is in fact a way of positioning himself, to the great majority of his audience, as someone qualified to write on this subject. The understanding he hopes to transmit to his reader through his mea culpa is that he should still be allowed to speak for the entirety of the Muslim population in India. Bhagat has a canny perceptiveness that sometimes serves him well. He has identified a major problem with the political experience of Indian Muslims, which is the capture of a great deal of the community’s vote by political parties who play the “secular card” without offering much else, especially quantifiable economic and political benefit. What Bhagat is doing here is talking not as the Indian Muslim but to the Indian Muslim. His argument is basically a well-tuned representation of the argument Hindu nationalism has with Indian Muslims. As he points out first: “There is no shortage of Muslim achievers. There are Muslim stars in almost every field.” I imagine he means Shah Rukh Khan and Zaheer Khan and A.P.J. Abdul Kalam and others like them. The implication here is that the success of some from the community is indication that any Muslim “with a modern outlook and a desire to come up [sic] in life” should be able to achieve identical success. What seems like a neurotic celebration of Muslim achievement is in fact a stick that is used to beat the rest of the community with: Look what those people have managed to do in India. Why can’t you do the same? Bhagat fails to see, or perhaps understand, the forms religious discrimination can take; there is scant acknowledgment that it even exists in India. His cloying condescension is hard to take: “We don’t need it as a handout. 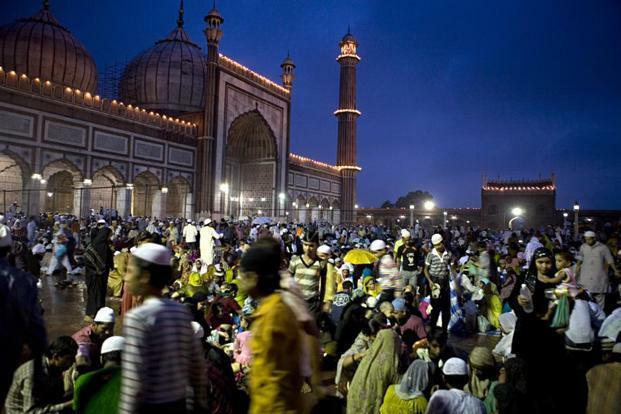 We are willing to work hard for it.” Again, his implication adheres to that hoary Hindutva chestnut: that the experience of Muslims in India has been of the “secular” state apportioning handouts and freebies that the community has unthinkingly grasped at. Someone should perhaps explain to Bhagat that Muslims have worked as hard as any other community before and since independence; that, as the Sachar Committee Report showed, it is the state that has, in fact, failed to provide service and opportunity for such a substantial number of its people. What Bhagat will not admit is that this piece is the latest in his sporadic series in support of Gujarat’s chief minister Narendra Modi and the bring-BJP-to-power-2014 effort. His argument is with the “secular” parties, the Congress and regional parties that garner Muslim votes, like the Samajwadi Party or Trinamool Congress. There is merit in this argument, as these parties’ abysmal record with Muslim communities, and their pandering to the most regressive elements within these communities, has proved. But—and this is only my suspicion—I wonder if his desire is the uplift of the long-marginalized Muslim community, or if this piece is a roundabout expression of his vexation with a religious group that he believes might well keep his favoured party and candidate out.